Treating insomnia (trouble falling asleep or staying asleep). Ambien CR Extended-Release Tablets are a sedative-hypnotic, or sleep medicine. It works by helping to increase certain natural chemicals in the brain that cause sleep. Ambien CR is a dual-layer tablet - the first layer is designed to dissolve quickly to help you get to sleep and the second layer is designed to dissolve slowly, to help you stay asleep. Sanofi-aventis (EURONEXT: SAN and NYSE: SNY) announced today that the U.S. Food and Drug Administration (FDA) has approved AMBIEN CR™ (zolpidem tartrate extended-release tablets) CIV, a new extended-release formulation of the number one prescription sleep aid, AMBIEN® (zolpidem tartrate) CIV, for the treatment of insomnia. AMBIEN CR is non-narcotic and a non-benzodiazepine, formulated to offer a similar safety profile to AMBIEN with a new indication for sleep maintenance, in addition to sleep induction. AMBIEN CR is the first and only extended-release prescription sleep medication to help people with insomnia fall asleep fast and maintain sleep with no significant decrease in next day performance. 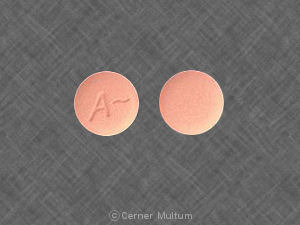 AMBIEN CR, a bi-layered tablet, is delivered in two stages. The first layer dissolves quickly to induce sleep. The second layer is released more gradually into the body to help provide more continuous sleep. Ambien CR (zolpidem tartrate extended-release tablets), a new extended-release formulation of the prescription sleep aid, Ambien (zolpidem tartrate), has been FDA approved for the treatment of insomnia. Many arthritis patients are prescribed a sleep medication as part of their treatment plan. The pain associated with arthritis often interferes with sleep. Ambien CR is non-narcotic and a non-benzodiazepine, formulated to offer a new indication for sleep maintenance, in addition to sleep induction. Ambien CR, a bi-layered tablet. The first layer dissolves quickly to induce sleep. The second layer is released more gradually into the body to help provide more continuous sleep. Ambien CR will be available in a 12.5 mg dose recommended for adults and a 6.25 mg dose recommended for the elderly. days. Ambien can be prescribed in quantiities exceeding a one-month supply. without a significant decrease in next day performance. another one dissolves slowly to provide a continuous sleep.